Thursday, August 21, 2014 . My favorite little market building is about 40 minutes drive from Alassio in Menton, France. It’s simply charming, about 50,000 square feet filled with crusty bread of all shapes and sizes, chickpea pancakes called Socca, runny cheeses made from an assortment of milk as well as fish, meat, fruits and vegetables, lemon honey and rose wine. You can even find lavender soaps and sachets. The perfect little one-stop shopping experience. As you can tell I love it. I will be conducting a prop/food styling photography workshop in Italy next summer and I hope you will consider it, and there will be a day trip to Menton (TBA). Menton is a magical little place, although it’s a resort town, it never fails to charm me. One of the amazing things here is that the region grows lemons the size of your head and is known for lemon ice, lemon honey and limoncello. I had a lemon ice while I strolled the market and bought a few essentials to bring home. I had the perfect morning in Menton, and I will be going back before I leave this summer. It’s a sunny place filled with yummy things. See more of Menton in Part 1. Monday, September 9, 2013 . L’Isle sur la Sorgue, city of heavenly flea markets and antiques, is not to be missed! 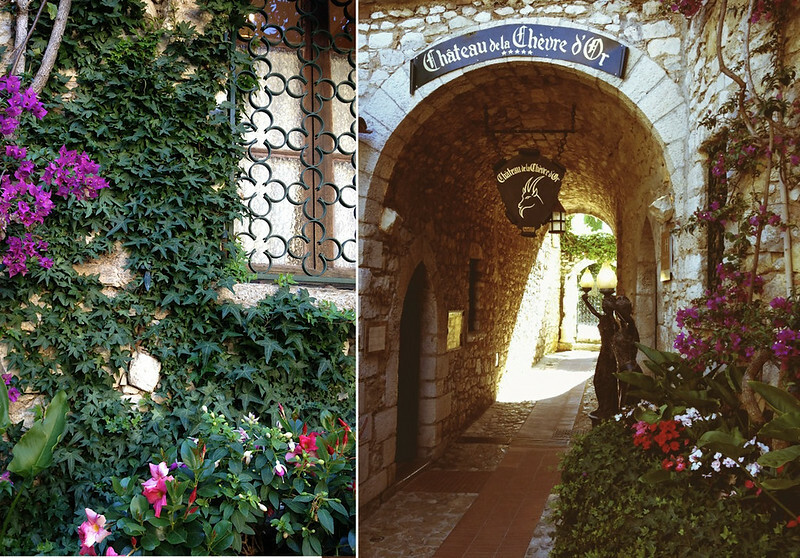 While traveling in Provence, I was lucky enough to tag along on the hunt with my dear designer friend Monica Demonte. Monica knows the place like the back of her hand as well as some secret haunts I’d never been to. Sure you see plenty of American designers walking around pointing and buying up the goods, but go with a pro and see things that are off limits to the crowd. It was a magical day. You may have seen the photo below on instagram, don’t you love these chairs covered in vines as you walk up the staircase? Friday, July 20, 2012 . 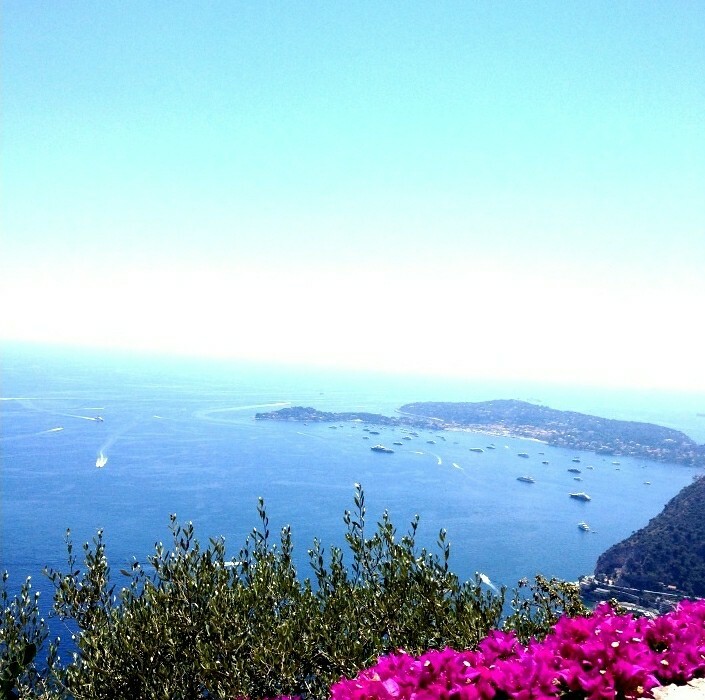 High above Monaco, not far at all, is the village of Eze. 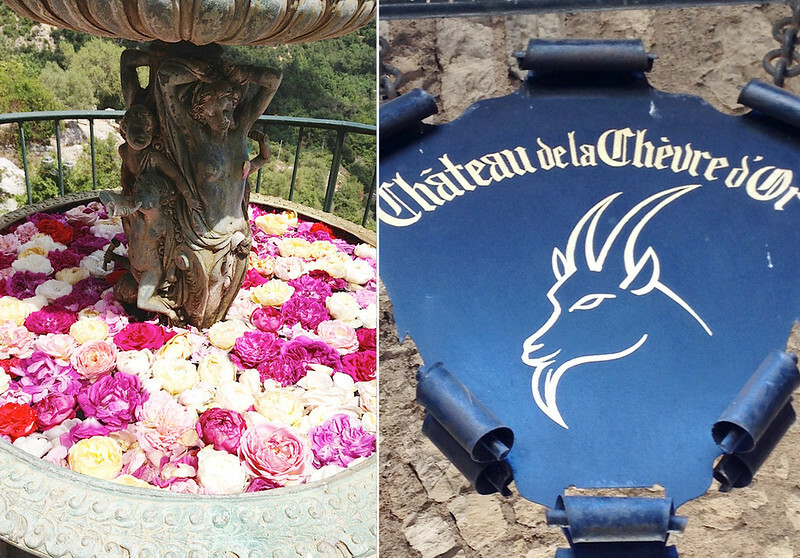 Eze is home to a restaurant that I have always wanted to dine at: Chevre D’or (the golden goat). It’s on a very short list of places including The French Laundry (which I have had the pleasure of dining at) that I’ve been dying to try. Chevre D’or is part of an incredible property perched on a cliff. The terrace of this restaurant offers the most amazing view of the sea I have ever seen. The surrounding gardens are divine. They were appropriately named “Eden” and are filled with whimsical sculptures and fragrant rose gardens, topped off with a 2000-year old olive tree. We started the evening with a glass of pink champagne, and focaccia with 3 spreads: fennel, artichoke and black olive tapenade.I ordered the salad di Riviera. The salad was fresh and crisp with a salty dressing laced with anchovy and mustard. For my main I had the veal cheeks with fresh peas and mushrooms en jus. So tender! No need for my knife. 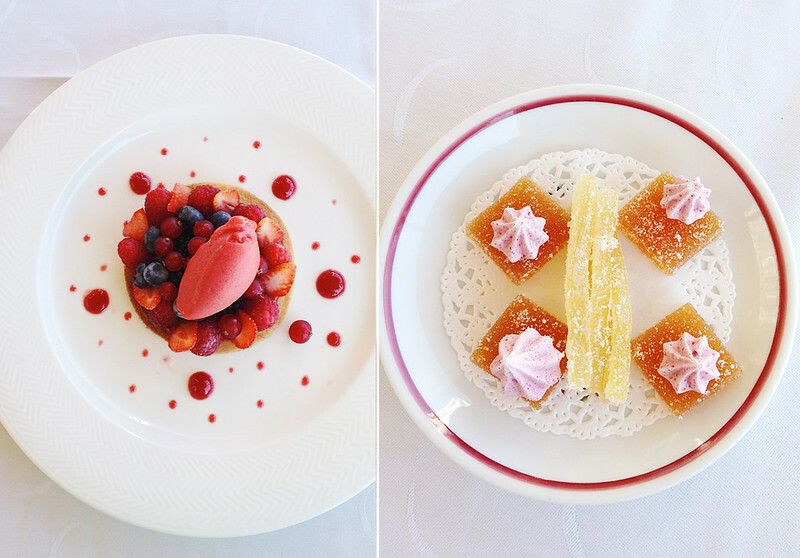 For dessert we devoured a berry tart with raspberry sorbet. The presentation was so elegant. Cute little candied lemon peel and jellies were brought to the table with my espresso. We lingered on the view for quite a while. Can you blame us? 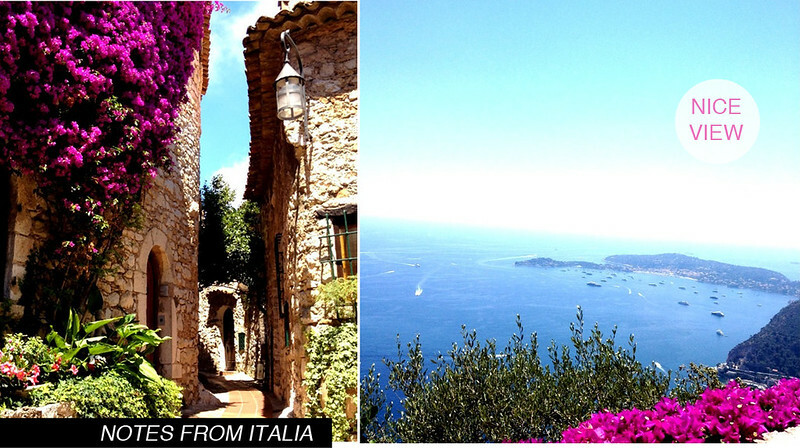 To aid digestion we scaled the ancient stairs to the medieval village of Eze, complete with beautiful views and lovely narrow passages. 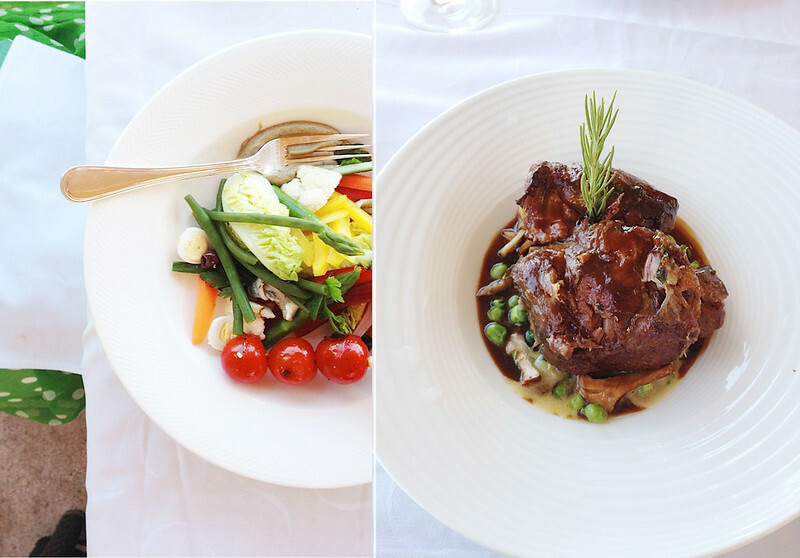 All in all the perfect day, and the perfect meal in Eze.